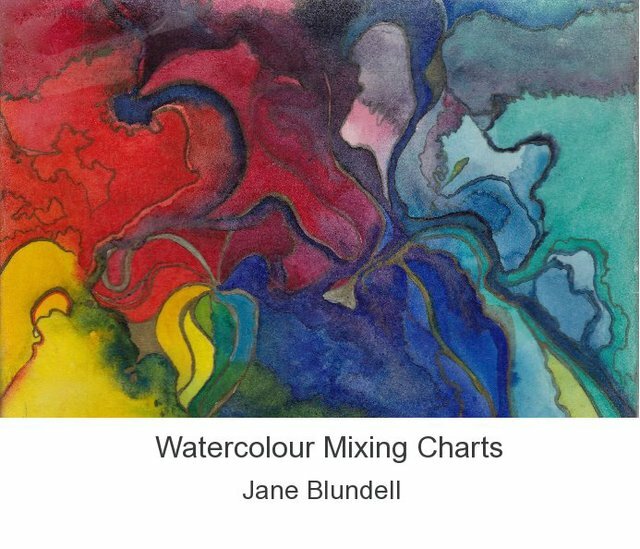 This 100 page book contains 98 charts showing the mixing of hundreds of different watercolours. The charts were painted on watercolour paper using mostly Daniel Smith artist quality watercolours. They were scanned on a Canon Pixma scanner. To get the best results, an artist would do the charts themselves, but most don't have the time. These give a great guide for colour mixing. All charts have been cleaned up further and numbered for the second edition in 2015. both versions are now printed on premium matt paper. I am an artist and qualified teacher with a passion for colour, especially watercolour. I paint in a range of styes from totally abstract to totally botanically accurate, and from black and white to bold colour. I work in all media but enjoy watercolour the most. I teach drawing and watercolour and give workshops on colour mixing and watercolour technique. I have exhibited in the USA, Singapore, Taiwan, China and Australia and am a member of the Australian Watercolour Institute.